Is Diablo 3 worth $40 on the Switch? I want a good coop game to play with my son, he's 9. I'm tired of Minecraft and Mario Party and I already own the other main coop games on the Wii U. Is the game worth the money? Is it too heavy for a kid? He can separate reality from fiction pretty well, so unless the game's completely over the top it should be more than fine. Well it's a good port of the game. 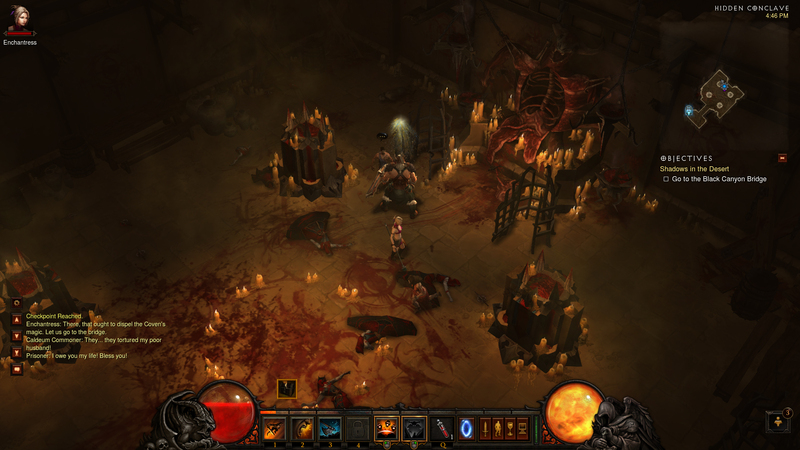 Diablo III is being patterned after Diablo I, more than Diablo II. As such it's a horror-themed, gory, gruesome, frightening game. The developers hoped to make it creepy in places, while providing enough variety in theme, tone, and visuals to keep from growing monotonous. This should give you an idea if you think it's appropriate/inappropriate enough for your son. Then you're good to go with this game for some co-op fun. I was going to say that I probably wouldn’t recommend it for a 9 year old but after seeing those games you listed, Diablo is way tamer. Does it play anything like the latest Gauntlet? Or is it way more complex? And unless there's portuguese he won't be reading anything anyway, hehe. I have over 3200 hours on PC, 500 between ps3/4/xonex, and another 90+ on the Switch version. Well, tbh, he didn't see the whole Dead Space run. But neither did I, dropped before it caused me a heart attack. Haha, but yeah, you're fine. This is about the worst imagery you will see in game. No. Also Diablo 3 is the weakest style/gore wise of the series. I played the first one around his age and I turned out fine! Great game on switch. I have had it on PC since launch got it on 360 and ps4 and now switch and switch is the best version because of the portability. I will play it in bed sometimes doing stuff towards to season goals. You sound like me minus the playing in bed part. I went PC -> PS3 -> PS4 -> Switch. The loot loop is great fun and I like making class builds. Also getting to the end game progression is quick as opposed to other games in the genre imo. Gauntlet is more streamlined for sure. The character progression in D3 is more complex which may hamper your fun. You will be making builds for your son as you progress (that’s for end game....normal play through is easy-peasy). Looks like it's on sale on eshop right now. I think it has been as low as 25$ physical. While it has way more complexities than Guantlet, Diablo III also has a ton of difficulty levels. Dial down the difficulty and you can make any build viable and have a mindless romp through hordes of demons. Cool, thanks! Can't let it be too easy, tho, that would remove all the fun. I'd check the age rating first. Edit: That aside.. yeah it's worth it my entire household plays it together it's great. Switch version is fine. If you just wanna chill and play co-op with your kid then it'll be perfect. I wouldn't recommend it to someone who is serious about end game/seasonal stuff. the best platform for that is PC. he should be fine with it. it doesn't feel realistic in any sense so no need to separate fiction/reality. it's just a dark game with demons and stuff. Diablo III is being patterned after Diablo I, more than Diablo II. As such it's a horror-themed, gory, gruesome, frightening game. I didn't notice that since I was just linking the page for all the images showing him the in game violence so he would know if that was too much for his kid. No wonder @pork_gamete was comparing it to those horror games. Yeah, the actual descriptions on that page is exaggerated.....highly. Skip the cutscenes and you're good. Great game.. I played 100s of hours on ps4 with my wife and I have like 50 more hours on switch. I am tempted by this as well. 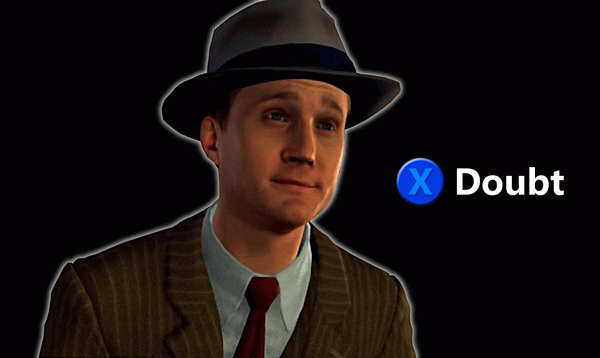 It really comes back to portability vs the meta game of trophies/achievements/whatever other platforms offer. Oh hell yes. Great co op game for you and your boy. It is pretty tame compared to other games out there. Its a great port.